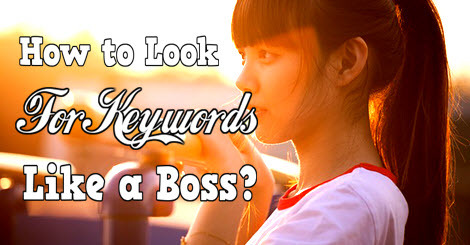 How to Search for Keywords Like a Boss? If you’ve heard of keywords and what it can do for a website, then you’re probably here because you want to know what it does or more importantly, how to search for keywords and use them to your advantage. Well you’re in luck because keyword research is one of my favourite past times and once you’ve seen how fun it can be looking for ways to laser target your website for better results, you’ll have hard time trying to get yourself away from the computer screen. The art of keywords research is a powerful technique that many bloggers, website owners and online entrepreneurs try to master because if you can get a hold of keywords, you’re well on your way to ranking any website on the first page of Google. You can bypass established competitors – Something that I absolutely love, ever Wondered how you can rank when there are many established websites around a particular keyword? Easy, learn how to leverage keywords to find those with less competitors and you’ll have no problem ranking on top! You can determine keywords that actually have traffic – Sometimes when you publish content on your website, you’ll notice that you don’t have as many clicks even when you’re already ranked on top. This is because you haven’t optimized your keyword combination which can lead to loads of unlocked traffic. Increase conversions – Since you can laser target your audience to those who really want your information, you’ll have a much better rate of conversion as the people you attract are those that really want you. What You Need to Know When Looking For Keywords? QSR – Quoted Search Results is a term to let you know how many websites will you be facing for a particular keyword. This is important because even though you’ve found a keyword with high traffic, it means nothing if the water is teeming with crocodiles. Imagine opening up a shoe store in a hot area where all the big brands like Jimmy Choo are competing, how confident are you that your website will on top of the food chain? In the website world, one advice I can give you to rank well is to target keywords which have less than 300 competitors because that way, you’ll have a much better chance of success. Average Traffic – This is pretty straightforward, the average traffic of a particular keyword. Having great traffic is good but you still need to see if the traffic goes well with the QSR or not. If the traffic is 500 but QSR is 500 as well, there is a high chance you won’t be ranking well but if the QSR is below 300, you will a good chance at dominating for that particular keyword. KQI – The Key Quality Index is a cool feature that not every keyword research tool has but it can get really handy because what it does is that the keyword planner itself tells you if that particular keyword you’re looking at is viable or not. Pretty cool, eh? Basically it’s more or less like a traffic light whereby red means that they keyword is too competitive, orange is if it’s in the middle and green means that there’s low QSR but high traffic which is a good balance. Ultimately, you want to go for green but this feature is optional as you don’t really need it, we use it when we’re lazy to compare ourselves. How to Search For Keywords? -3 Easy Steps That Can Give You Endless Results. Keyword research is easy, all you need to do is… research and get the results, right? Yes, but you also need to learn how to segregate the results because the keywords everyone uses are mostly very wide which is very competitive. Before we start doing keyword research, you need to know what to research on in the first place. This depends on your niche and at this state, you have the freedom to think of anything at all and find inspiration from anything you can think of – Whether it’s from other blogs, from newspaper, from the television… Anything. I love this part the most because you’re not restricted with the words to use but after a while, it can get a little boring so don’t spend too much time on it. Step #2 – Determine the Viability With Jaaxy! 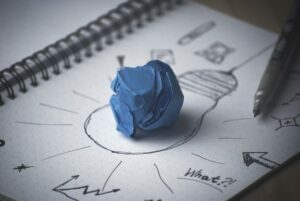 Now that we have an idea on what to look for, the next step is to find keywords to match those ideas to see if they are viable or not – meaning how much traffic you can get, and how competitive it is. When it comes to finding keywords, you will always want to have a keyword research tool and the best one to date, is Jaaxy! I’ve been using Jaaxy for over a year now and with it, I have ranked many of my pages on the first page of Google and saved myself hours of scouring the internet for keywords. It is much more accurate than Google Keyword Planner because instead of showing rough guesses of “high” traffic or “medium”, Jaaxy lets you know the exact number to help you decide better. As you can see from the various numbers, the keyword is alive and people are searching for it as we speak. The reason I say this is because believe it or not, although there are billions of people using the internet daily, not all keywords have good amount of searches especially new words or terms which is why even if you rank on the first page of Google, your average traffic is usually very low. So going back to the keyword results, “how to play games like a man” has 32 average searches with ONLY 2 competitors! Will you look at that! And if I change that to “how to play games for money”, I can get 890 searches with only 14 competitors! That’s basically a gold mine right there! This is how powerful keywords can be as you can eliminate competitors just by changing a word or two. Not only that, I also managed to find loads of other related keywords that I could use another time like dating games, mind games, or even x-men games. From the search results, we know that it a good and rankable keyword to use because although there are only 80 searches a month, there are about 189 websites to compete with which I would say is still doable since it is below the 300 competitors mark. Better yet, Jaaxy also found me an alternative keyword to use which is “Affiliate marketing niches ideas” and it is much better in terms of competition because there are only 116 websites around. 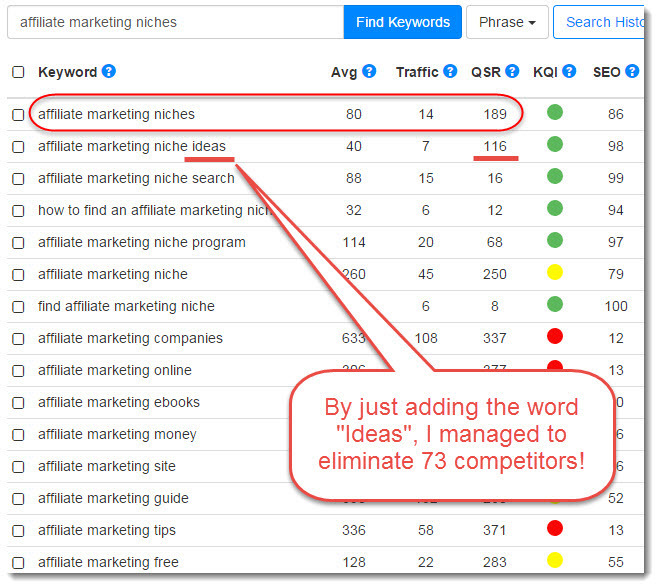 It’s pretty amazing knowing that just by adding one word, we can eliminate 73 competitors and this is exactly why keyword research is extremely powerful. When you first opened Google, have you ever thought of what that little box where you type in anything is called? That my friend, is Google Instant! (Or Google Suggest as some might call it). Basically with a Keyword Research tool such as Jaaxy, it is already enough to get you high quality keywords for your website but it doesn’t hurt to find out what other people are thinking of too because this helps give you more ideas on what to target later on. Although you won’t get a detailed information on the number of competitors you’ll be facing as well as the amount of traffic it contains, Google Instant gives you keywords that people are looking for at that time of the day. How it works is that whenever you type in anything on that Google search box, you’ll get suggestions on what other related things you might want to search for suggested by Google. Those ‘related things’ are actually hot keywords that other people are also looking for too so do you see as to why it is so powerful? You can leverage those keywords, put them on a keyword research tool and see how many people are looking for it and before you know it, you’ll have a good list of keywords more than you can ever have the time to use! You already know how powerful keywords are for your blog or website, and you also know now that it is possible to get high quality keywords for your website to rank on. But have you ever thought of how do you use them in the first place? The best way to utilize keywords is through your website content and that is something we call content optimization. No matter how beautiful your website is or how fast it loads, you have to remember that to Google, your website is just a combination of codes so by publishing contents, you gain Google’s favour to rank easier on search engines. Masking it in your title. Adding it within the first 100 words of your content. Buying a domain which contains keywords. Adding your keywords as the ‘alt text’ for your uploaded images. 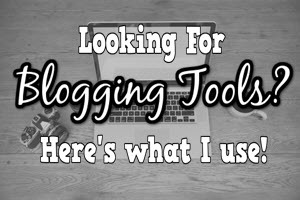 Connecting your blog with other blogs based on specific keyword. Content Optimization is one of the most important things you need to learn when it comes to getting your website ranked as it greatly influences the SEO but it is a vast topic which you will need all the help you can get and for that, I recommend checking out Wealthy Affiliate. Wealthy Affiliate is an Online Business course which teaches you how to build winning websites and monetize them by driving traffic through SEO. It is by far the best course on the web as you’ll get more features here than anywhere else – The updated lessons, the free website builder, the keyword tool, site health analysis, dedicated webhosting and the awesome community are well worth the investment. It all depends on your effort because a website is also a business and the more effort you put in, the faster your growth. 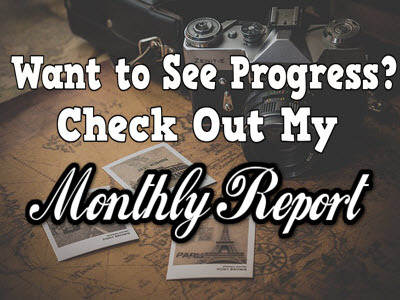 I have been a member for just over a year and although not all my pages are on the first page of Google yet, many of them are and the rest are rising so I’m learning from my mistakes to bring my site forward so if you’re looking for a way on how to propel your online business, I can personally guide you there. Keywords are essential to your success online because if you understand how to use them, you can almost literally know what people are thinking of online. But don’t worry, there will never be a shortage of keywords so as long as you do proper keyword research and find the best ones with the least amount of competition, you will have a high chance of leveraging that to your website success. 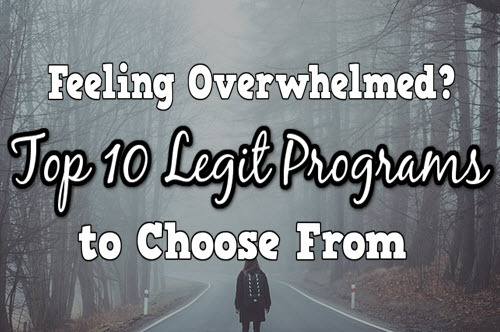 If you’re interested in learning more on how to leverage keywords for your blog, check out my #1 recommended program here. Thanks for reading, do drop your questions down below as I’ll be more than happy to reply. You’ve touched on and summarised all of the stuff learned in WA very well! Everything is in depth and it’s extremely easy to understand and taken in the information. The content is of great quality and I learned a heap from what you wrote! Looking forward to future posts and tips! Thanks for the feedback Stephen, glad you find my article helpful. Guess I’ll be seeing more of you here soon! Big sites always use them on their site and it gets a lot of people going to it. 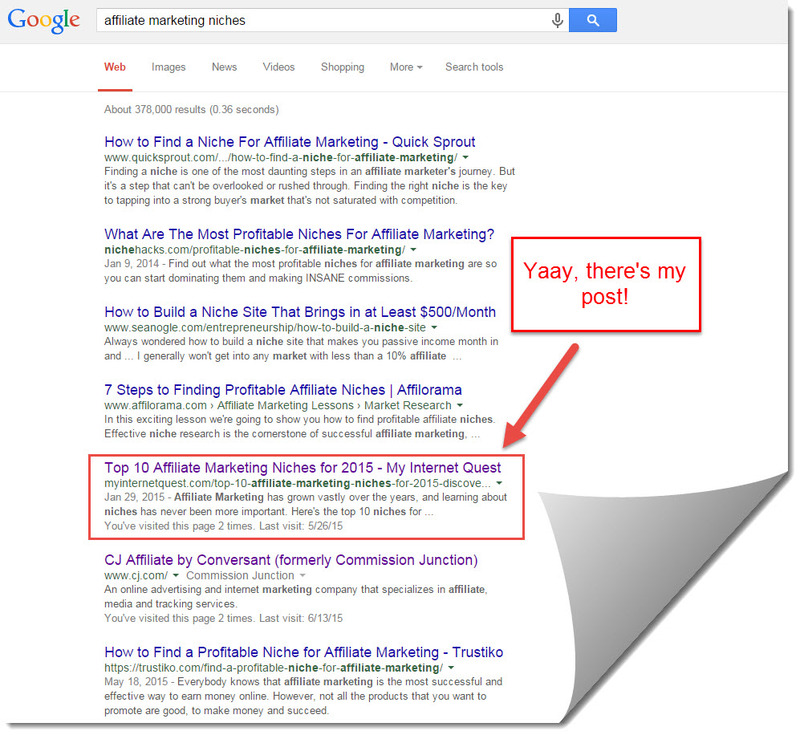 It works wonders on getting increased click-through as those phrases yell out curiosity. And of course when you get people to click on your site you need to deliver that with the best content you can make because that way, you’ll double the effectiveness and get yourself more loyal readers. Thanks for dropping by man, hope you have a great day! Wow, keywords really are one of the main things to get under your belt when setting up a website aren’t they! I really like your article, its nicely worded with great photos. If you are in a position and really can’t sign up to Jaaxy once you’ve used your free searches, are there any other completely free keyword search websites you can use? Thanks for the kind words, keywords are indeed powerful and its how I started out and tripled my website growth too. That’s a good question regarding the Jaaxy trial thing. 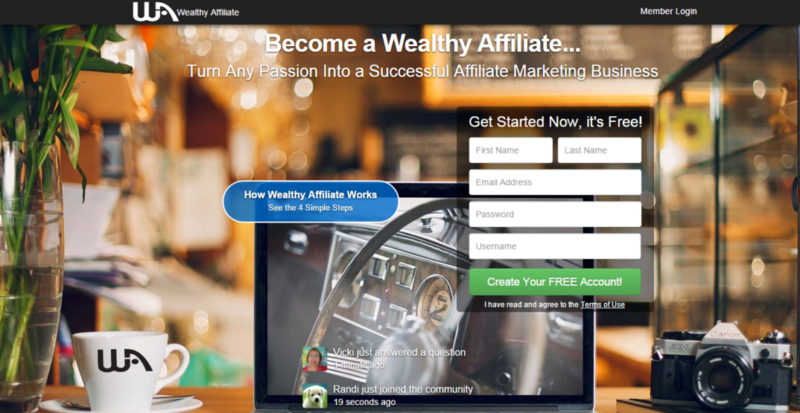 I was actually asking myself the same thing but I’ll tell you a little secret – Wealthy Affiliate actually has a free keyword tool inside especially for members so you could definitely take advantage of that. It is isn’t as specialized as Jaaxy though but it works just as good, enough to help you rank well and even on the first page. Hope that helps! What a thorough article!! I am a network marketer and use keywords everyday but it’s always good to see things from someone else’s perspective! =) thanks! Now I have a question. Let’s say someone uses a keyword that has really low competition. How long does it take for the post to get on the first page of google, with low competition keywords? Does the post need to have comments to rank faster? Great question! how fast it takes depends on how established your website is, whether or not there are big competitors there, and how fast your website gets indexed. If your website is still in the beginning stage and you don’t post regularly, ranking should start within a few days to a week after you finally get indexed. From there, it will gradually increase ranks through time to get to the first page but if there are established websites around the area, you’ll have a slower time to rank as those things influence your ranking factors too. However if you regularly update your website, that will influence your ranks as well because doing that will increase your visitor rate hence your traffic. Having comments are great as well as comments are also part of your content so that will really boost your page in terms of speed and trust as some people would only trust you if you have other people commenting first. Overall, there are various powers which influence your ranking so i can’t say for sure as to how fast you will rank because with all that being said, your content quality also influences the game. Hope that helps, do let me know if you need help with anything! 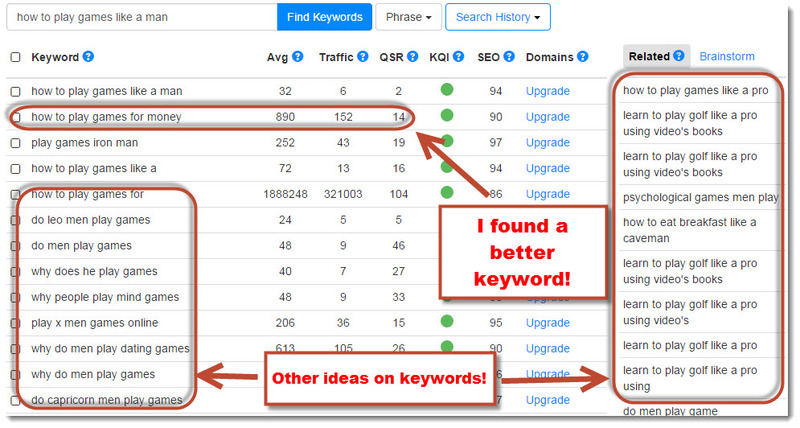 Excellent advice on searching for keywords – I was looking for something like this all day! I like the sound of that Jaaxy tool that you cover here – sounds light years ahead of my current tool and looks like it will give better results. How much does it cost from a subscription point of view? Thanks for the kind words! Jaaxy costs $19 a month only but if you want to give it a try before you buy (Recommended), you can have 30 searches for free to give you the feel before you actually pay. Out of curiosity, which keyword tool are you using now? Great article. You have explained in detail, but with great clarity, what keywords are, and why they are so important. I am just getting involved in the internet marketing, and keywords are still something I’m trying to get my head around. But your article has helped me a lot, so thanks. Awesome to know my article helped you out! Keywords really are important and every internet marketer needs a keyword tool as how warriors need a sword – To ensure victory by tenfold rather than without it. I started out with a very slow growth but after doing proper keywords research, I was able to rank pretty well and at a very fast rate too as I was able to bypass all teh tough competition. Thank you for you post it’s really interesting and gives a simple explanation on how keywords work. I personally meet some problem in setting up my google analytics to see and analyse my traffic, do you have a post on that ? Great post continue writing us good content ! Thanks for the kind words! I don’t have a post on Google Analytics yet but will definitely make one soon. In the meantime, maybe I can pinpoint you to where I learned about Google Analytics so that you could check it out? Boost Blog Traffic has an excellent blog post on that and its where I learned about reading website stats too. Hope that helps! I enjoyed reading your post, as it contains very thorough and useful information on keyword research. I’d even dare to say it’s better than the info at WA, as it is more detailed and it is obvious you wrote this from your own experience. I also have a question for you, which I asked a couple of people before, but never got a straight answer. Do you know if it matters when a keyword contains punctuation marks like colons or apostrophes? Should I put two words in my posts or pages without those marks, even if they are a part of a name, for example? It doesn’t look like Jaaxy cared if I put them there or not, but I still have my doubts. Wonderful to meet a fellow gamer too! I’ve seen many game bloggers rising and this is really exciting, I’m helping loads of people grow and it is so nice to see progress! Thank you for your kind words, it is definitely from my own experience, ones that I personally use to rank and you can use it too. It doesn’t matter where you want to put in punctuation marks as long as you don’t break the keyword sentence so if you want to add in more words to make your keyword sound nice, do it before or after. Hope that helps! All the best and see you around WA! Cheers! Hi Riaz, great post. I never thought of using Google instant to come up with new ideas. Brilliant. I’ve been trying to find good keywords for quite some time with Google’s keyword tool, but it takes forever to find the right ones. Do you know if the process of finding new keywords is faster in Jaaxy? Glad the Google instant part helped you! Actually both Jaaxy and Google Instant are great. 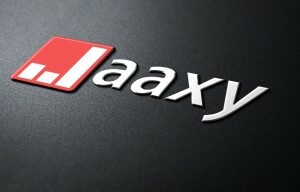 However for every keyword you get, it is best if you can research it on Jaaxy to know its potential. Jaaxy gives good keyword choices as well but Google Instant gives suggestions live which means those are what people are typing at that time of the day which is a feature Jaaxy doesn’t have. I often save keywords from Google Instant and use Jaaxy to check the viability in terms of traffic and competition, it has helped me a lot and its something worth keeping in mind. Hey Riaz, you have a very good site that is easy to use and has very practical and easy to understand articles and help topics. Your writing style is comfortable to follow and you explain things in easy to understand everyday language. In short, I like your site. It’s easy on the eyes and comfortable to understand with lots on good advice and reviews. Thanks for the kind words, I used to really follow writing formats but then I got lazy because it looks overwhelming when you have a lot of words so I changed my writing to casual style and I got better engagement. People like personal touch and when it comes to blog, its best to chase after your own opinion because that is what defines you and plus, it helps people remember you better too. I’ve just learned a thing or two just by reading this article! Great info and strategy. By reading your post I’ve learned that I’ve not put any keywords into any of the pics I’ve got on my site! Ahhh! Ah well, I guess I’ll be heading over to do that now before I forget. lol. Thanks for the info and all the best to you and yours! I only knew about the Alt Text things just recently too, how I wished I would have come across it earlier! It is very helpful and I managed to rank well just from my images alone. Glad to know my article helped, hope you have a good day! 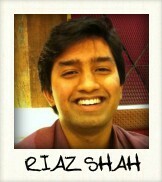 Hi Riaz, i’m very glad I found your site. i’m having a nightmare with the keyword research process. I’ve been using quite a well know research tool and it’s driving me crazy. I seem to spend over an trying to find a keyword for single article. The reason is because the tool focuses very much on the strength of the competition, and just as I think I’ve found the right phrase, i find that the website has a high authority, or loads of backlinks and so back to square one I go. Your method of using the Jaaxy tool and the number of competing pages sounds like a breath of fresh air. You say that you have had page one rankings, are these from following these metrics alone and not concerning yourself with the “strength” of competing websites? I totally get what you mean. The strength of competing websites does matter when it comes to ranking because they have higher page authority and are able to rank pretty well. I have experienced many of my pages unable to surpass those sites but still, many of my later pages are ranking too. This is because at the end of the day, your ranking depends on the people’s preference on clicking from search results which gives you hope on ranking even when there are bigger websites there. For example, if you Googled “Does anyone use Google plus?” you will notice that my website is on top of The Huffington Post and I actually wrote that last year. This is because my title contains the exact keywords, my content has great length, and I also added issues that people are looking for regarding Google Plus which got me clicks from various searches which is pretty cool. Another trick to bear in mind is to write a post and publish it really fast when the topic is hot because that way, you’ll hog up first page when other upcoming websites are trying to rank up. I haven’t managed to rank all my pages on the first page yet but many are rising and the process is exhilarating, i’m actually having fun. One last advise I can give that you would need to bear in mind is that if more bigger websites are hogging up the rankings and you want in, you need to be on par with their level and eventually beat that, meaning that you need to really put in effort to promote your content and get more comments and shares than that article has because always remember that comments are also content and it is something Google takes into consideration as well. The over-ranking process is doable but is really slow so as long as you remain consistent in promoting that specific content, you will slowly rise up but by bit and eventually you’ll rank on top. Phew, long reply hope that helps! Thanks for the kind words Kyle, Jaaxy is indeed awesome. I get stuck researching for hours because there are just so many low competition keywords left untapped that I could take full advantage of. Glad to know you liked my article, thanks for dropping by!